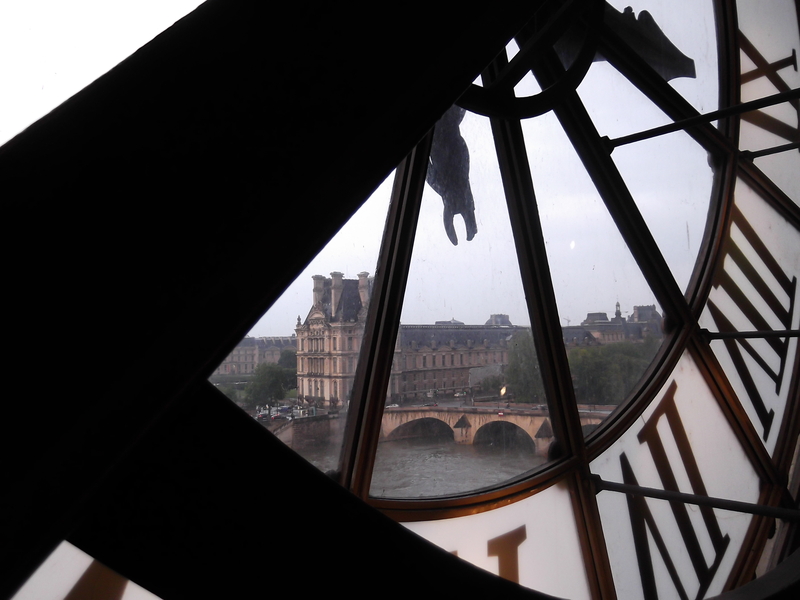 Paris, Musée d’Orsay, 5th floor. 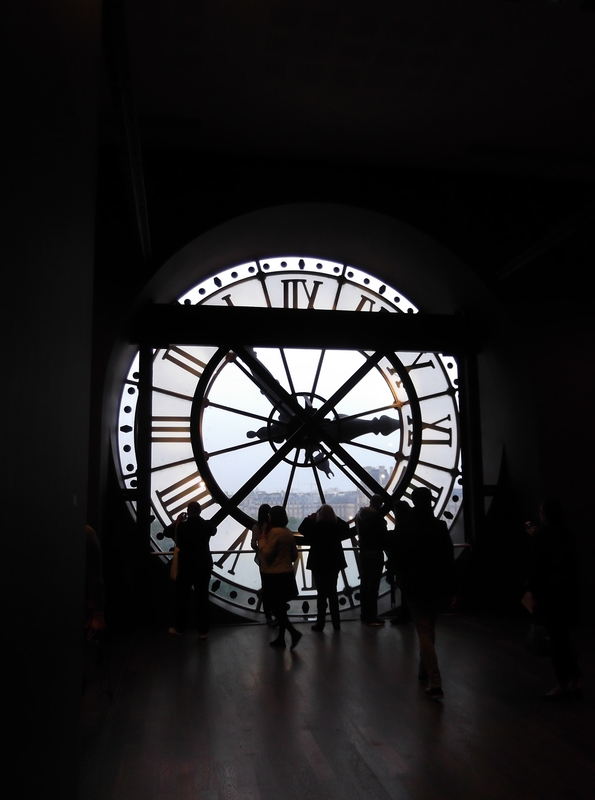 This is a view from the 5th floor of the Musée d’Orsay in Paris. 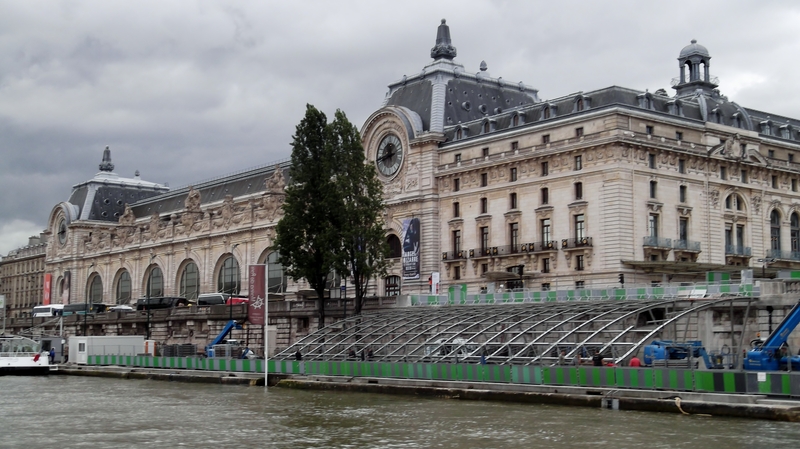 This museum is located in a former train station (Gare d’Orsay), which was built between 1898 and 1900. Since the middle of the 20th century, it hadn’t been in use any more and served for several purposes, until it was decided to turn it into a museum for mainly French art of the 19th century. This is the view through one of the former station clocks. You can see the Musée du Louvre. Musée d’Orsay from the outside, you can see the two giant clocks. This reminds me of the 2011 movie, Hugo, based on the novel, The Invention of Hugo Cabret. Lovely images. I haven’t seen the film yet. Paris is my favourite city. I haven’t been to Paris, just from Brittany down to the Spanish border. Beautiful coast and forestry. We stayed at various places along the way.